Imperial College Sinfonietta is an orchestra with over 60 players from Imperial College, ranging from 1st year undergraduates to post graduates and staff. Founded by Daniel Capps in October 1996, it is currently conducted by William Carslake. We are a friendly, hard-working bunch who rehearse every monday at 6:15 to put together our many performances and concerts for the year. The orchestra is run by a dedicated committee of full time students who organise every aspect of the orchestra’s operation. 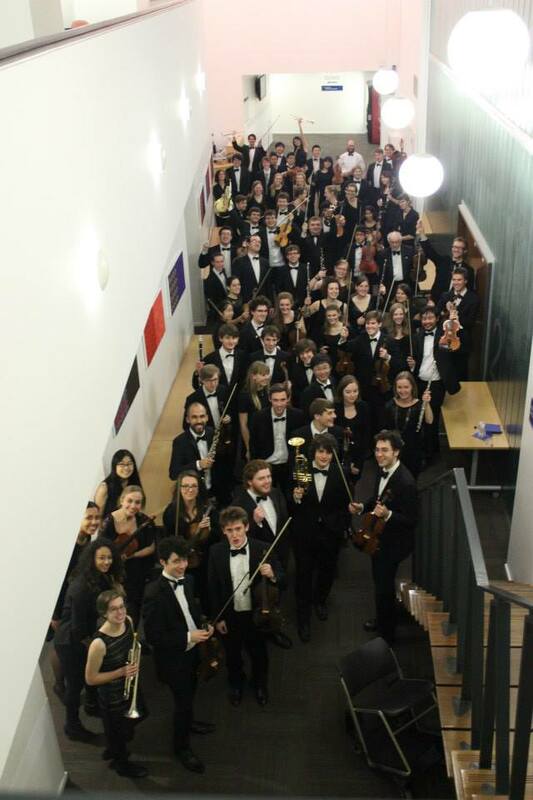 Sinfonietta performs concerts in the Great Hall and various other venues at the end of every term and often provide opportunities for Imperial students to perform concertos with us. The orchestra’s recent repertoire has included works by Rachmaninov, Borodin, Gershwin and Dvoràk. Sinfonietta has been touring annually since 2000, with past destinations including France, Sweden, Catalonia, Finland, Estonia, Czech Republic, Russia and Austria. The recent Summer Tour to Valencia was the orchestra’s first ‘exchange’ tour, in which the orchestra joined with Valencia’s Orquestra del Casino Musical de Godella to give two concerts alongside three professional soloists from the Valencia Orchestra.